No matter the occasion, homemade gifts are always a great option. 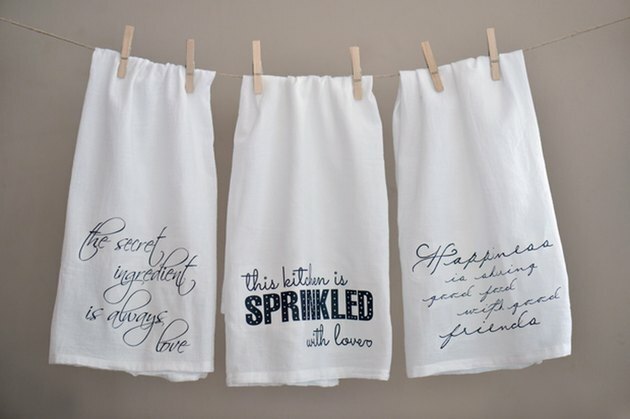 One of my favorite DIY gifts to make are these kitchen hand towels with quotes on them. Choose the quote you want to use, and get your iron-on transfer paper ready. 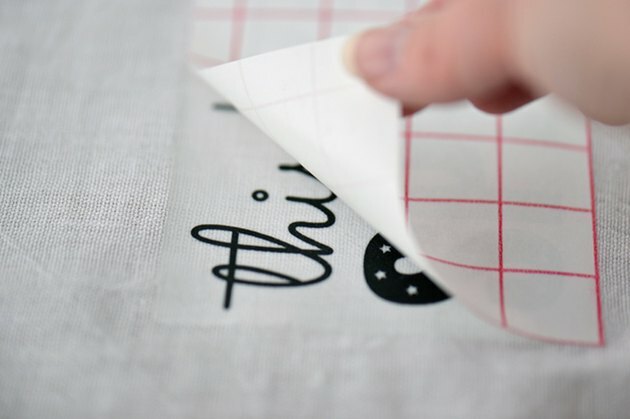 Iron-on transfer paper is available at craft stores and some department stores. Carefully follow the printing instructions on the package. Select the reverse or mirror image on your printer if you are using the regular file. I like to start with a test print on plain paper to make sure everything is working right and to check its scale with the finished piece. 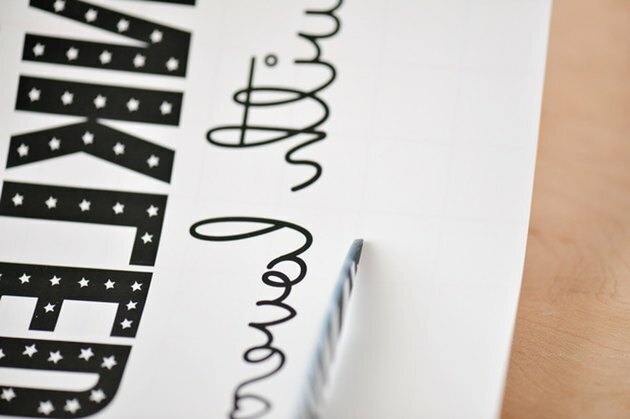 After the ink is completely dry, cut out the quote, leaving an 1/8-inch border around the design. Place the transfer quote-side down on the flour sack towel where you want the quote to be. Following the instructions on the package, iron the quote onto the towel. The package will explain the heat settings and time frames, depending on the brand and the type of material. 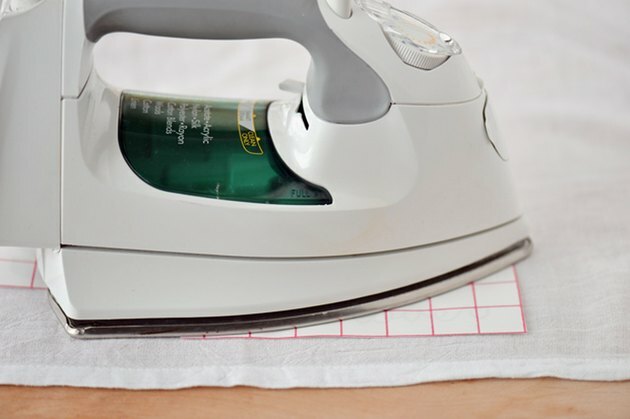 Allow the fabric to cool completely. Carefully peel off the backing paper. 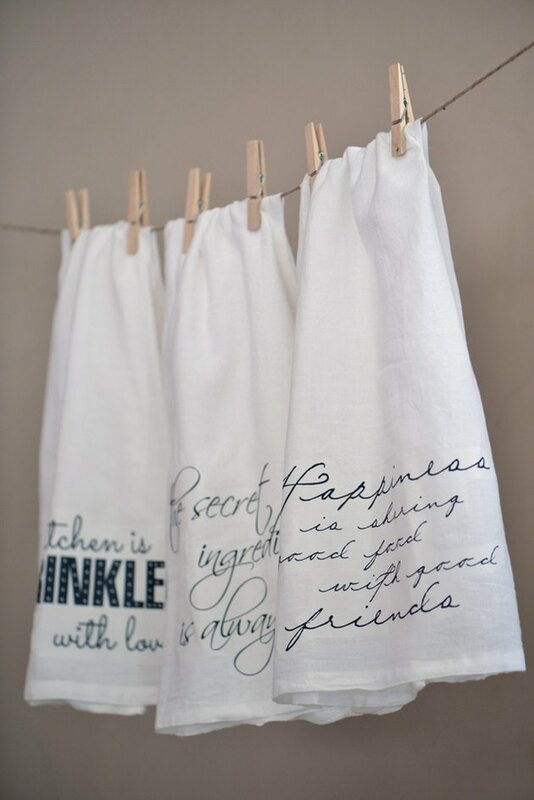 Give these flour sack towels with quotes to your family and friends, along with some homemade holiday cookies.